The Windsor Fife & Drum Corps is an organization designed primarily for young people to preserve the music and history of the 18th century. We strive to establish an environment that encourages loyalty, friendship, teamwork, cooperation, leadership and a dedication to excellence among our members. The Windsor Fife & Drum Corps is proud to play a part in keeping the traditions of Colonial America alive. 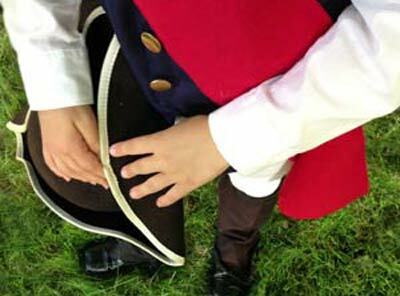 The Windsor Fife & Drum Corps is a fun, family-friendly activity. Let our experienced instructors teach you the fife, snare or bass drum. 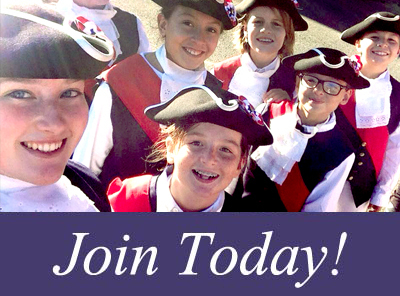 Any child ages 7-21 is eligible to join, and no previous musical or marching experience is needed. Interested parents and adults can learn to march as part of our impressive color guard. Since marching in our first parade in Windsor in 1985, the Windsor Corps has been going strong. Each year we travel throughout the East Coast, performing to delighted crowds at parades, musters and concerts. 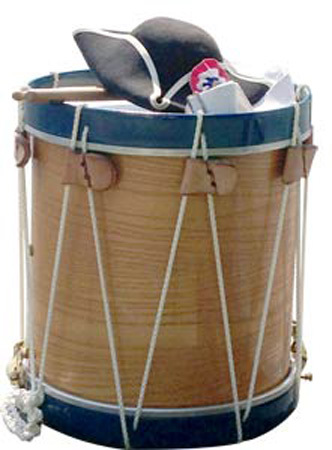 We are proud to do our part in helping keep the traditions of fife and drum alive. is Looking for New Members! Any child ages 7 & up is welcome to join. No experience is needed to start learning the fife or drum! Come to any one of our weekly rehearsals to find out more information and take a sample lesson. This is a great time to become part of this family-friendly organization!